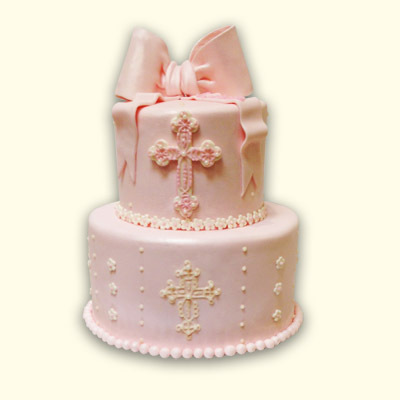 This cake is a delicious way to celebrate many occasions: christening, baptism, confirmation, and Easter Sunday. 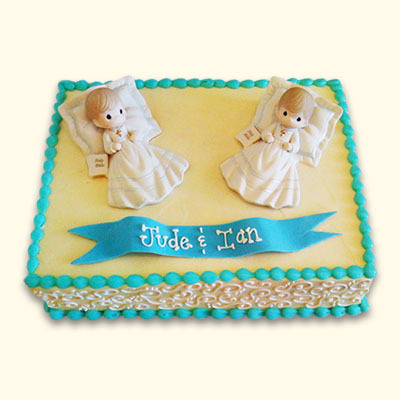 Select the cake, filling, buttercream, and colors to match your sweet celebration. 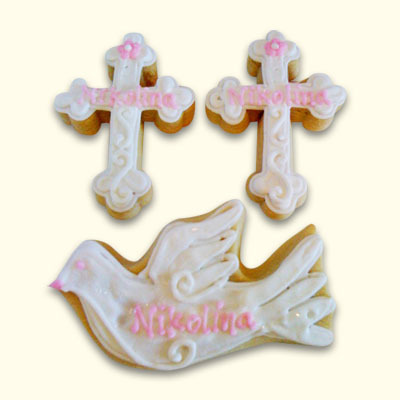 Match with cross cookies in similar colors and even personalize with a special name. 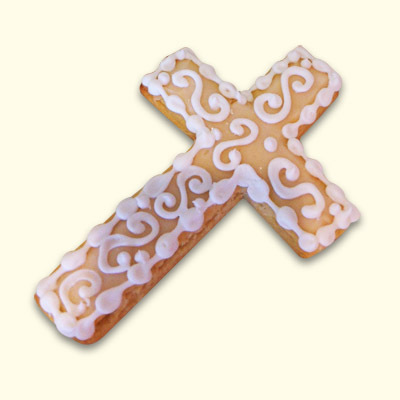 Serves 25-35 guests.